The world's fleet of approximately 45,000 cargo ships transports around 8,000 million tons of cargo per year. What is, perhaps, somewhat less known is that these ships also transport some unwanted hitch-hikers in the form of organisms that get scooped up when ballast water is taken on. Ballast water is required to maintain acceptable trim and balance when a ship's load is changed. Tankers and bulk carriers, in particular, typically only carry cargo in one direction, and take on board enormous amounts of water ballast for the return journey. When the ballast water is discharged at the destination, foreign organisms may be released into an environment where they may out-compete native species and multiply into pest proportions. In order to mitigate the impact of ballast-water borne organisms, the International Maritime Organization has developed guidelines, standards and procedures for ballast water management. Several organisations have been developing ballast water treatment systems that comply with the IMO standards. One such company is Resource Ballast Technologies, based in Cape Town, South Africa. RBT's ballast water treatment system (BWTS) has been type-approved by the IMO, and is offered by Wilhelmsen Technical Solutions as the Unitor BWTS. This BWTS, shown in Figure 1, uses a combination of innovative hydrodynamics, electro-chlorination, ozone and filtration. 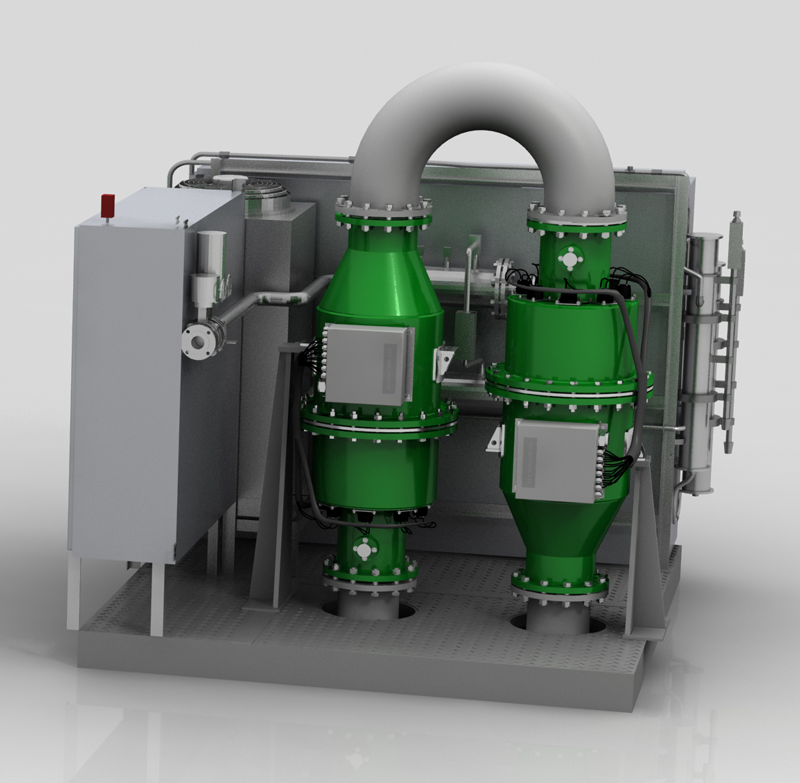 Figure 1: Unitor ballast water treatment system. The complex internal geometry of the green reactors is a key part to the system's effectiveness. 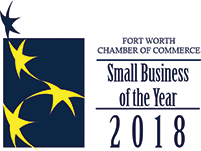 Although the system originally was largely empirically developed, it is obvious that computational fluid dynamics (CFD) will be of great value in further refinement and development. RBT provisionally has selected OpenFOAM® for its CFD research and development requirements, in order to take advantage of OpenFOAM's unique combination of low cost, high fidelity and flexibility. However, the reactors' very complex internal geometry poses a serious meshing challenge. The Pointwise T-Rex meshing method has proved very effective in dealing with such complex geometry, creating good quality anisotropic tetrahedral grids, for a very modest investment of time and effort. The surface mesh of the reactor is shown in Figure 2. For obvious reasons of commercial confidentiality, the critical and complex interior mesh cannot be shown. 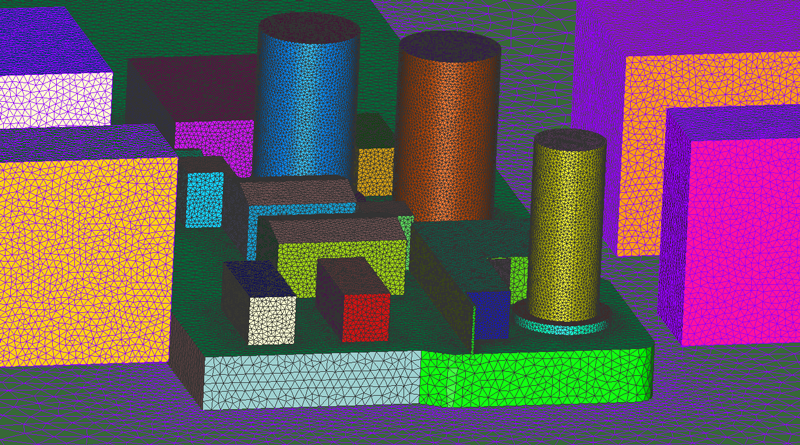 Figure 2: Reactor surface mesh, with complex inner detail hidden. At the level of everyday engineering difficulties, RBT's shore-based test facility is situated on an exposed quay in Cape Town harbour. Three slender vertical water tanks are used to handle untreated, treated and occasionally fresh water. When filled, these tanks are stable and robust, but are susceptible to wind damage when emptied for testing. Unfortunately, Cape Town is very well known for astonishingly strong winds from both southeasterly and northwesterly directions, which can seriously impact the testing schedule. The summer southeasterly “Cape Doctor” particularly is notorious for sustained levels of blustery aerodynamic violence. To avoid excessively conservative limits on testing, transient CFD was performed on a model of the test facility, for both SE and NW winds, to obtain better estimates of unsteady and interfering aerodynamic forces. Although the simplified geometry was not particularly troublesome from a meshing point of view, T-Rex was once again of great value in the efficient generation of a suitable mesh, as illustrated in Figure 3. Cylindrical bodies in cross-flow are, of course, very well known for shedding vortices. To capture these vortices, box-shaped mesh blocks were used to maintain adequate wake grid resolution. To allow use of the same grid for both SE and NW wind directions, the boxes were positioned on both sides of the water tanks. A sample set of results is plotted in Figure 4, indicating the unsteady nature of the wind loads, due to vortex shedding and interference. The CFD-derived peak wind loads are substantially higher than those estimated from a simplified 2D estimate, thus validating the decision to invest CFD effort into such a peripheral question. 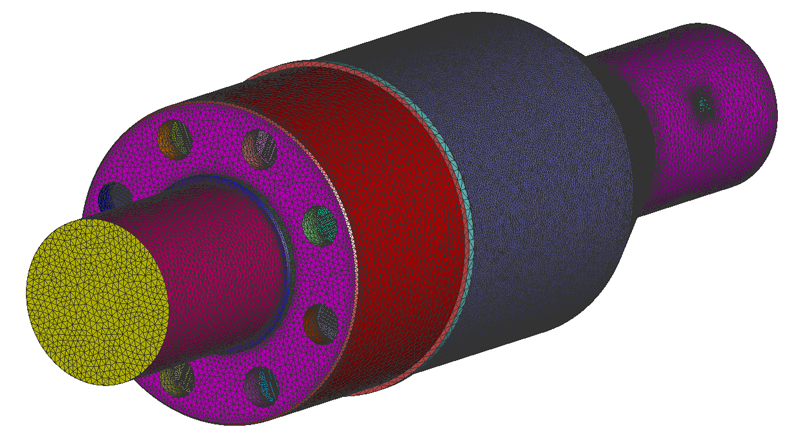 RBT's experience has been that Pointwise is a valuable part of an efficient, low-cost CFD toolbox that is otherwise mostly based on open-source software. Figure 3: Tetrahedral grid of the shore-based test facility. Four additional box-shaped blocks were used to maintain adequate grid resolution for capturing wakes containing shed vortices. 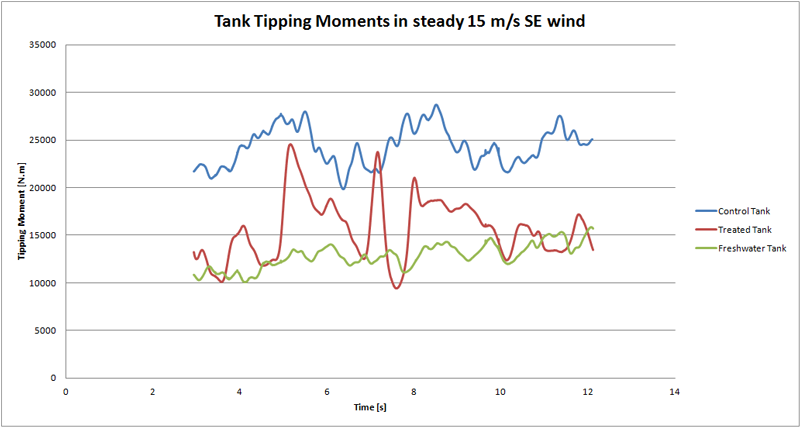 Figure 4: Transient tipping moments on the water tanks.